Date: Nov 26 2018, 5:30 p.m. - 9:30 p.m.
After taking FWW I the next step to learning woodshop skills is our FWW II. In this two evening class you will create a beautiful wooden kitchen cutting board. Students will start with rough cut lumber learn proper use of tools & clamps to joint, plane and rip and glue the lumber into milled pieces. After glue up, students will be instructed in proper cleanup before final planning, sanding and routing. 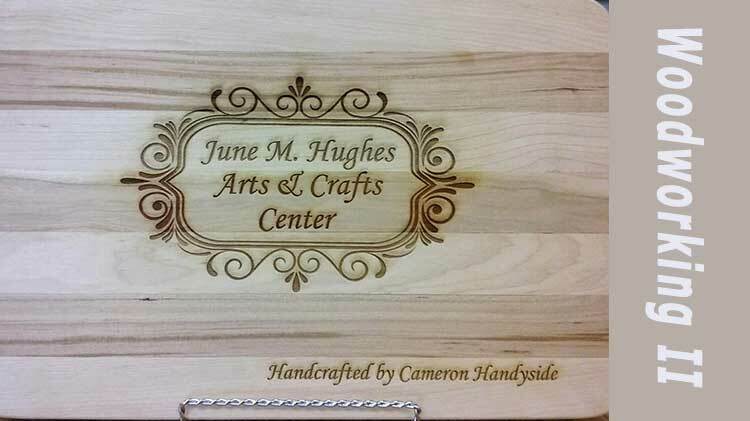 When you have completed your class, you will be given a 10% discount certificate to have your board custom engraved in our Promotional Department. Must have a woodshop certification card to take this class.